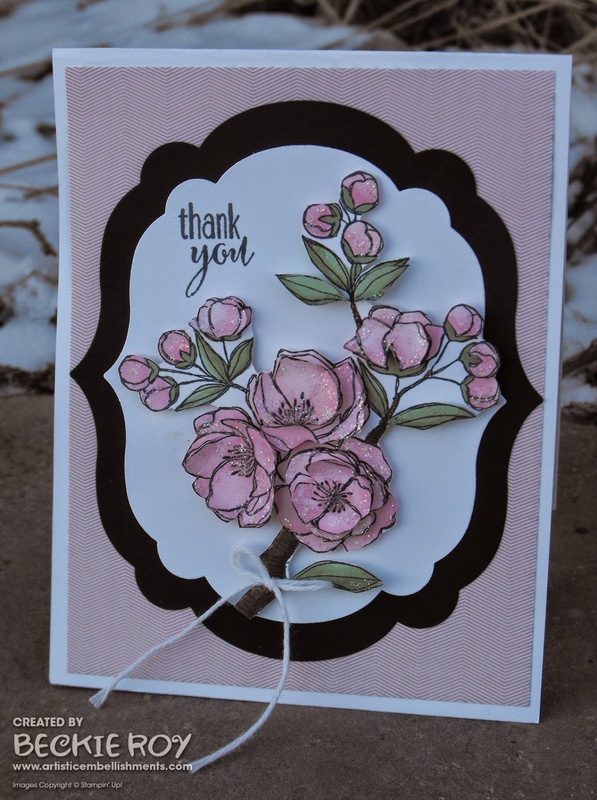 I made another blossom card using the 'Indescribable Gift' stamp set. 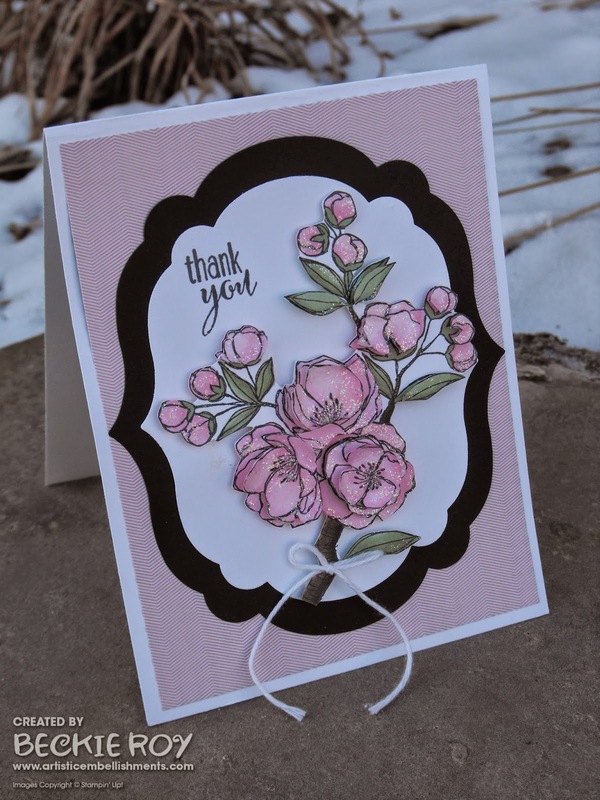 This time, it's not an Easter card - I made a thank you card. I stamped several layers, fussy cut them out and added a bunch of dimensionals for lots of layers like the previous one... but I added even more layers. I love orange, it's my favourite colour - but, I think I like this version more than the first. 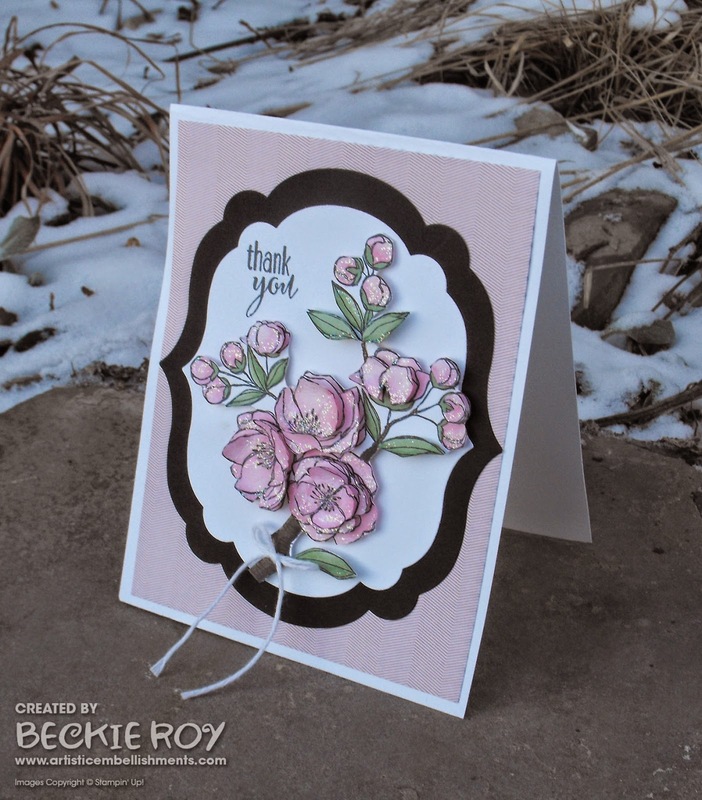 I decided to mat my flower onto diecuts made using the 'Labels Collection' framelits dies. Then a final layer of 'Stacked with Love' designer series paper. I cannot say enough about this paper stack... LOVE IT!!! Such great designs and I love black and white. I hope you like my card! I am off today, my only one until next Tuesday... sigh! I have swaps to make today. What better way to spend a day off than some much needed crafting time in my craft room?! I can't think of a more relaxing day :) Have a good one!